Baby oh baby! 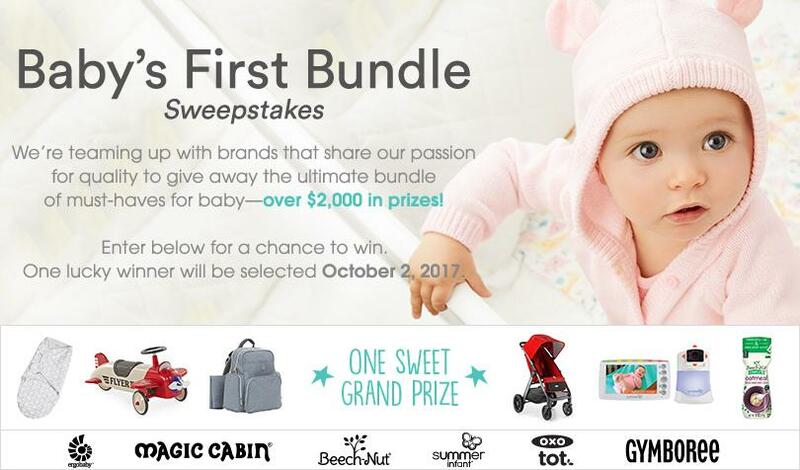 Gymboree Baby's First Bundle Sweepstakes! September brings many things: cooler weather, back-to-school sales but did you know September is one of the most popular birth months? To celebrate this baby bonanza, Gymboree teamed up with 5 of their favorite baby-focused brands to bring new and expecting parents the ultimate bundle for baby! Eligibility: Open to legal residents of the United States or District of Columbia who are at least 18 years of age. Void where prohibited. Enter to win Baby’s First Bundle Sweepstakes at Gymboree! « 5 Ways to Ensure Your Home Is Protected-You don’t need McDuck’s riches to keep your family safe!